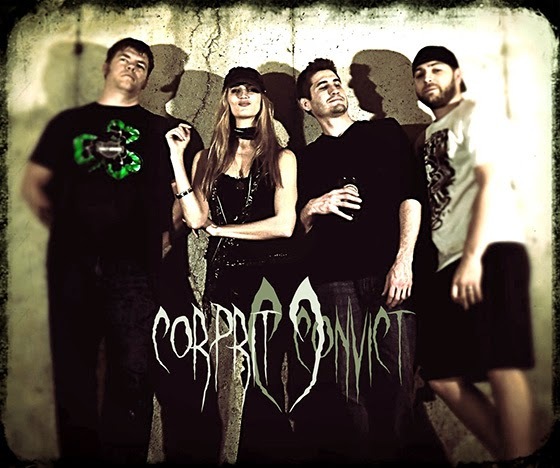 Kentucky-based, heavy metal band Corprit Convict is partnering with Kosair Children's Charity and the Ronald McDonald House in an effort raise money for the children's hospital and family-housing facilities. On May 9, 2014, the female-fronted-foursome will be headlining a show at Phoenix Hill Tavern starting at 9:00 pm. All proceeds earned by the band for that show will go to support both charities. On April 22, 2014, the band released their debut, Come Clean, with a portion of the album sales also going to support both charities. KT (singer) and Evan (drummer) have a deep, personal connection with both charities. "Our son, Hayden, spent the first 4 weeks of his life at Kosair before he passed away 3 months later. The nurses there took excellent care of our boy and they were just amazing all around. I'm so happy we can finally give something back," - KT. Kosair Childrens' Hospital is Kentucky's only full-service, free-standing pediatric care facility dedicated exclusively to caring for children and is an advocate for the health and well-being of all children. Ronald McDonald House Charities is a place families of seriously ill children call home during crisis and uncertainty. Since opening their doors, they have helped more than 70,000 family members from all 50 states and several international locations. Since opening their doors 30 years ago, they have given more than $1,000,000 in grants to organizations that support children. "When you get a metal band, like Corprit Convict, you get a taste of what Reverbnation says is #1 in that genre....Starting from a 2 piece garage band to a high ranking group is no small feat....No matter what, you should definitely be able to notice the potential these guys have."